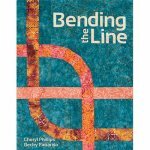 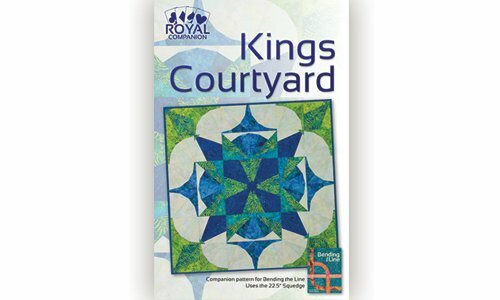 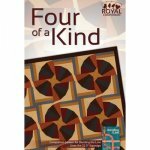 Kings Courtyard, a companion pattern to the book Bending The Line, uses the 22.5 Squedge Tool. 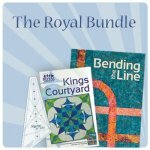 Using the same technique found in Bending The Line, Kings Courtyard takes it a little further! 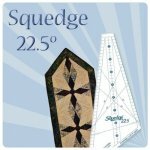 The 54" square quilt (like the cover) is our Basic option. 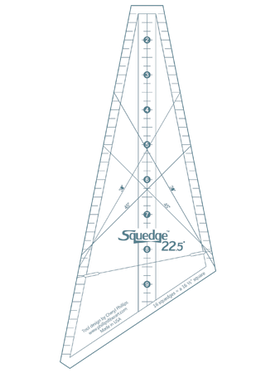 Turn it on point and add triangle units to complete it for the Beyond option making a 72" square. 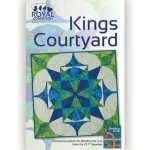 Either way, the quilts are amazingly beautiful!